Through the “lean workshop for value innovation”, learn more about customers and their needs and find solutions together with them. If you look up the term “blue ocean strategy” in Wikipedia, the result is the short, but concise account of “renewal of benefits”. Using several examples, it can be demonstrated that specific companies have used this to “uncouple” themselves from the competition and have thus laid the foundations for their economic success. Several years ago, WIKA chose a slightly different way to achieve “value innovation”. In a workshop, together with the customer, innovative solutions are sought. True to the motto: “The success of our customer is also our success”. Thus, deeply-trodden paths of thought are deliberately abandoned. All participants are encouraged to formulate ideas, even seemingly “crazy” ones. While customers describe their wishes and “hardships”, we can relatively quickly look for the first approaches to resolving them. Here we offer the customer two opportunities: On the one hand, he can become fully aware of his problems and speak about these openly, on the other he can receive direct feedback with respect to possible approaches to solutions. For the participants from WIKA, this means that they can learn a lot about the customers’ needs. From this also, in turn, two opportunities arise: On one hand, we understand better why the customer wants to have certain things exactly in a particular way; on the other, we have the opportunity to question deeper into the reasons behind. 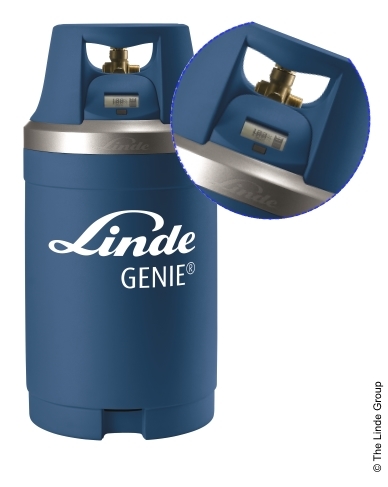 The result of a “lean workshop for value Innovation”: the Genie® gas cylinder (The Linde Group) – in place of a filling pressure gauge – electronic level indicator. For the GENIE® gas cylinder (The Linde Group), a completely new approach was found together with the customer. Rather than a filling pressure gauge, which only enables the operator an estimate of the remaining quantity and availability of the gas, an electronic level indicator is employed. This not only indicates the level, but also delivers the operator information such as, for example, how long he can still weld with the contents left in the gas cylinder. Both on the customer’s side as well as on ours, it is necessary that there is trust between each partner. Only then can the required openness be achieved. And this openness is precisely the foundation for success in such workshops. Over the years it has been shown here that there are principally two results: Either solutions can be turned quickly into real products or there must be fundamental, time-intensive developments undertaken. Further information on “blue ocean strategy” can be found on the Wikipedia website (in German). Further Information on the GENIE® gas cylinder can be found on YouTube.